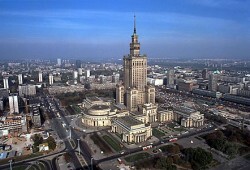 Poland´s National Bank (NBP) forecasts an economic growth rate of 1.5% in 2013. According to NBP, the Polish economic will record an even lower growth this year than in 2012. The inflation is expected to reach 2.3%. In the last months, NBP revised its growth forecasts several times. In order to boost economic growth again, NBP has cut the interest rate three times in a row. At the moment, the base rate stands at 4.0%.